floors from the wintery outdoors with our selection of mats! and fragrance oils that�s made in the USA! WELCOME TO SWISH | Swish Group of Companies is a leading distributor of sanitation supplies and equipment recognized for the Value, Quality and Service we bring to our customers. We are honoured to be trusted experts in complete cleaning solutions in the many industry we serve and are on a mission to help you solve your most challenging cleaning tasks. We are a family owned Canadian company, presently manufacturing and distributing proven innovative cleaning products from 15 locations across Canada and the Northeastern United States. March 1, 2019 - Ice Cream Season! Offering a full line of cones, toppings and flavorings. With our convenient central location we can easily service Vermont, New Hampshire and Maine. We partner with the top brands in the industry to ensure we bring your customers the best in flavor and your outlet the best in sales! Follow the link to contact a Swish professional or visit your local Clean it Center for more information! Cleanliness is not just for Humans! Like any medical facility, veterinary clinics face daily challenges including bodily fluid spills, cross-contamination of germs, floor stains, unpleasant odors and the risk of exposing healthy animals to harmful pathogens. 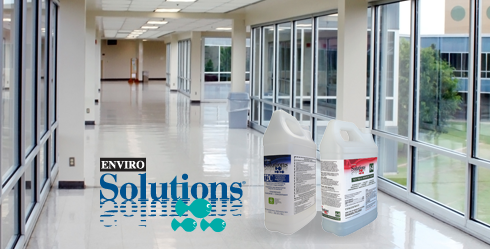 Let Swish help you effective clean your facility. Read more! Keep Winter Outside! Mats are the first defense to stop dirt and moisture from entering your building. They decrease the amount of snow, sand, and salt from entering the facility, saving thousands of dollars a year in cleaning costs. Mats also protect interior floor surfaces from excessive damage and wear. Entrance mats are the most effective way of stopping dirt and moisture at the door and keeping building maintenance costs to a minimum. Read more! Cold and Flu season is here! Each year, the seasonal flu and the common cold are the most common reason children miss school and adults miss work. Effective Cleaning and Disinfecting of "high touch" or frequently touched surfaces significantly decreases the number of germs and viruses and reduces the risk of transmission and infection. Read more! Winter will be here soon! Be prepared and order your ice melter supply and lock in a great price! Swish White River carries a variety of ice melters to fit your specific needs, whether you are looking for more enviromentally responsible, less harsh on concrete, floors and carpeting or you just want the ice and snow gone! Read more! Subscribe to our newsletter for access to relevant and up-to-date product and industry information by email.